It’s become increasingly clear that the United States backed the wrong people in Ukraine. President Petro Poroshenko, who had briefly served as Ukraine’s foreign minister, looked worldlier than his predecessor, the deposed Viktor Yanukovych, and spoke passable English. He and his first prime minister, Arseniy Yatsenyuk, knew what the US State Department and the then vice-president, Joe Biden, wanted to hear. So, as Ukraine emerged from the revolutionary chaos of January and February, 2014, the US and the European Union (EU), backed Poroshenko and Yatsenyuk as Ukraine’s next leaders. Armed with this support, not least with promises of major technical aid and International Monetary Fund loans, they won elections. While Ukraine was in existential need of western money, Poroshenko and his political allies followed the conditions attached to the aid. Among other things, parliament voted to set up an independent National Anti-Corruption Bureau (Nabu) that was supposed to investigate graft, and a special anti-corruption prosecutor. Gradually, however, it became clear that though the agency and the prosecutor could make loud noises and investigate hundreds of cases (about 400 so far), they found it hard to make charges stick because the largely unreformed court system pushed back. Ukraine’s European and US allies demanded that a special anti-corruption court be set up. Poroshenko, however, has been lukewarm about the idea, pointing out that few countries had such an institution. Despite repeated Western demands, backed by a group of young pro-Western legislators, Poroshenko still hasn’t submitted a legislative proposal on the court — even though the Venice Commission, which analyses legislation for the EU, has provided detailed recommendations on what the bill should look like. At the same time, Prosecutor General Yury Lutsenko, a close Poroshenko ally, began an open war against Nabu. An agent of the Anti-Corruption Bureau was detained last week while trying to hand over a bribe to a migration service official, and the bureau’s offices were searched. Nabu chief Artem Sytnyk claimed in response that the bribe was part of a sting operation Lutsenko hadn’t known about. That didn’t stop Lutsenko from continuing to attack Sytnyk and his bureau, accusing them of illegal operations and unauthorised cooperation with the US Federal Bureau of Investigation. Poroshenko, however, appears to have other plans. This year, Ukraine has paid $270 million (Dh993 million) more back to the International Monetary Fund than it has received from it. Government finances have stabilised on the back of modest economic growth, which, according to the Bloomberg consensus forecast, should reach 2 per cent this year. At the same time, the western position on the conflict in eastern Ukraine has congealed. There is a greater chance than ever that the US will supply Ukraine with lethal weapons. Poroshenko has clearly concluded that he won’t lose western political backing as long as he maintains an anti-Russian stance, and he no longer has a pressing need for financial backing on a firm schedule. As long as western leaders see Ukraine as a bulwark against Russia, he can act domestically as any other old-school Ukrainian politician, for whom the borders between power, money and brutal force are blurred. 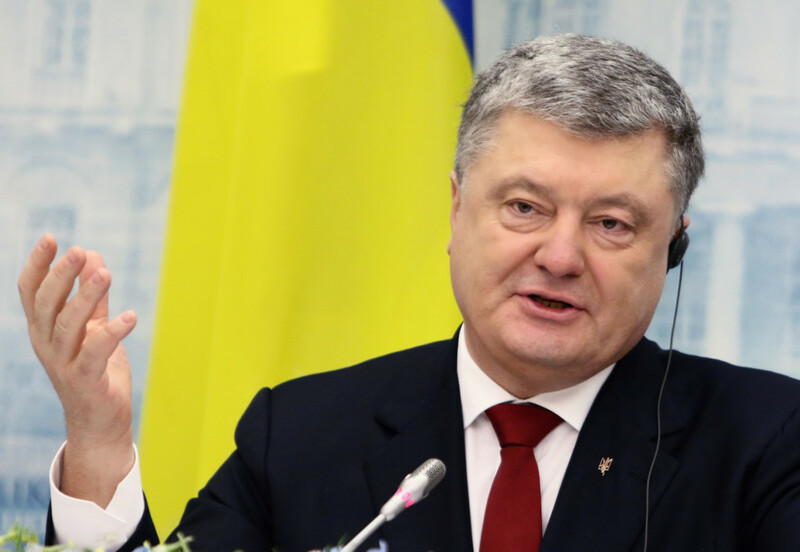 His harsh actions against his most vocal opponent, former Georgian president and former Odessa governor Mikheil Saakashvili, show Poroshenko can be as ruthless as Yanukovych. After a failed attempt to kick Saakashvili, an anti-corruption firebrand, out of Ukraine for allegedly obtaining its citizenship under false pretences, Poroshenko’s law enforcement apparatus has harassed and deported the Georgian-born politician’s allies. Finance Minister Oleksandr Danilyuk, who helped Saakashvili set up a think tank in Kiev — which is now under investigation for suspected financial violations — has accused law-enforcement agencies of “putting pressure on business, on those who want to change the country.” Danilyuk himself is being investigated for tax evasion. In recent days, investigators arrived to search Saakashvili’s Kiev apartment, and, for a few minutes, the former governor was on the roof of his eight-storey building threatening to jump unless left alone. He was then held for hours in an unmarked police van next to his building as hundreds of his supporters prevented the vehicle from driving off. At the time of this writing, Saakashvili, freed by his captors, was holding a rally in front of the Ukrainian parliament. At this point, even the most vocal western supporters of the post-revolutionary Ukrainian government have realised that something is wrong with Poroshenko. “President Poroshenko appears to have abandoned the fight against corruption, any ambition for economic growth, EU or IMF funding,” economist Anders Aslund, who has long been optimistic about Ukrainian reforms, tweeted recently. Poroshenko, however, would have got nowhere — and wouldn’t be defending Ukraine’s opaque, corrupt, backward political system today — without western support. No amount of friendly pressure is going to change him. If Ukrainians shake up their apathy to do to him what they did to Yanukovych — or when he comes up for reelection in 2019 — this mistake shouldn’t be repeated. It’s not easy to find younger, more principled, genuinely European-oriented politicians in Ukraine, but they exist. Otherwise, western politicians and analysts will have to keep acting shocked that another representative of the old elite is suddenly looking a lot like Yanukovych. Leonid Bershidsky is a Bloomberg View columnist. He was the founding editor of the Russian daily Vedomosti and founded the opinion website Slon.ru.